This process of preparation would have been especially hard with the added headache of merging the inventory of Trinity Mirror and Northern & Shell. On 1st March 2018 Trinity Mirror’s £121.7m acquisition of Northern & Shell’s UK titles was approved and on 28th June 2018 they announced all assets would come under the banner of Reach. For Terry this meant integrating existing teams into his already large team that consists of Trading & Data, Business Analysts, Ad Product, Tech Ops, Ad Ops and Yield Managers. The merger into Reach meant that internally this process was a lot easier due to the fact that the sales teams were selling one product and utilising one data set. They now have 55+ sites and 41 apps which have more than 37m unique impressions a month which is a huge reach! What does this mean for candidates? 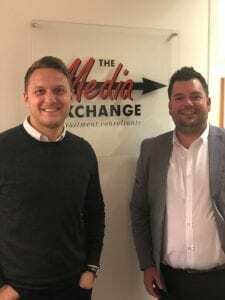 Reach is now an impressive proposition – “The newly combined sales team will give advertisers access to over 45 million people in the UK a month. As well as this valuable scale the portfolio represents diversity via nine politically and culturally different national newsbrands, the opportunity to reach people in the most trusted media environment via our 140 regional newspapers, and brand safety via our network of 60 professionally produced websites.” The growing need for technical and analytical candidates to support this network has led to a growing focus on sourcing graduates with relevant experience or degrees and most importantly the right mind-set. Finally we came on to the subject of third-party AdTech companies and what differentiates them. Terry revealed, due to the similarity of the products, that the people and the customer service are the most important factor when choosing a tech partner. This is something that is applicable across the industry and shows how important relationship building is.